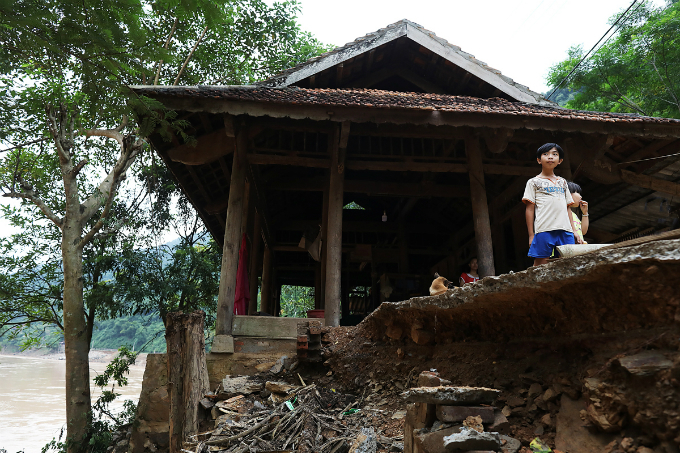 A Nghe An dam, discharging the largest volume of water in eight years, has rendered 31 families homeless. 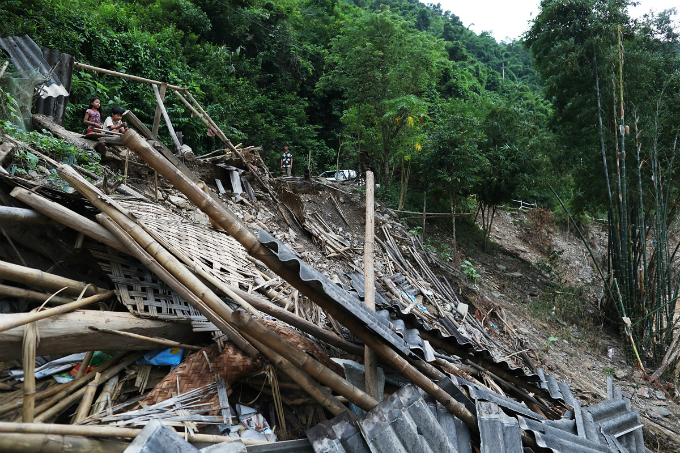 This is what is left of houses in Luong Minh, a riverside commune in the central province of Nghe An, ten days after the Ban Ve hydropower plant discharged water at 4,200 cubic meters per second, the biggest volume since it started operation eight years ago. 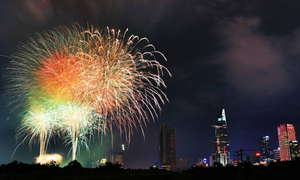 The rural commune is more than eight hours drive southwest of Hanoi. A boy plays on what used to be the front yard of his home. 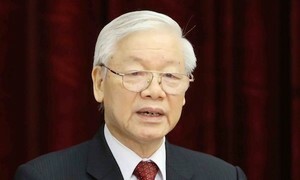 Vi Dinh Phuc, the commune’s chairman, said 31 houses in the commune have been completely washed away or seriously damaged, and the floods also isolated the entire commune for five days. 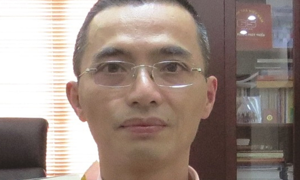 Several dams were discharging water as Nghe An and its neighbor Thanh Hoa received torrential rains for several days late last month. 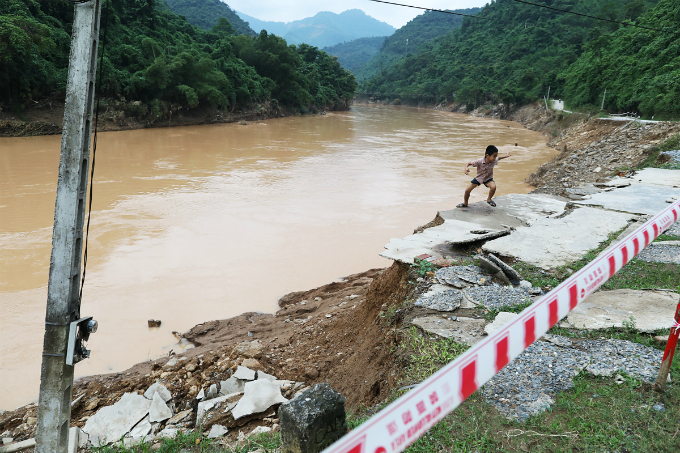 Flash floods and landslides triggered by the downpours and water flow killed 14 people in Thanh Hoa and northern mountainous provinces as of September 4. Families in Luong Minh have had to take shelter on higher ground. 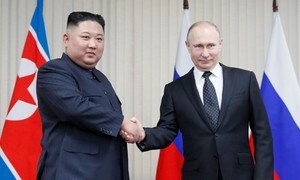 “The dam operators say they discharge the water according to plan, but in fact there is no way locals here can prepare themselves for such a large amount of water discharged at once,” Phuc said. 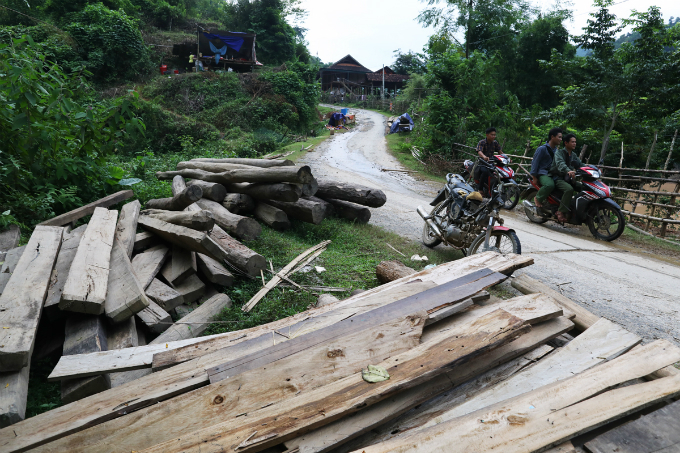 Residents have saved wood they collected along the river bank after the flood waters receded, and are now waiting for a decision on resettlement by the authorities. 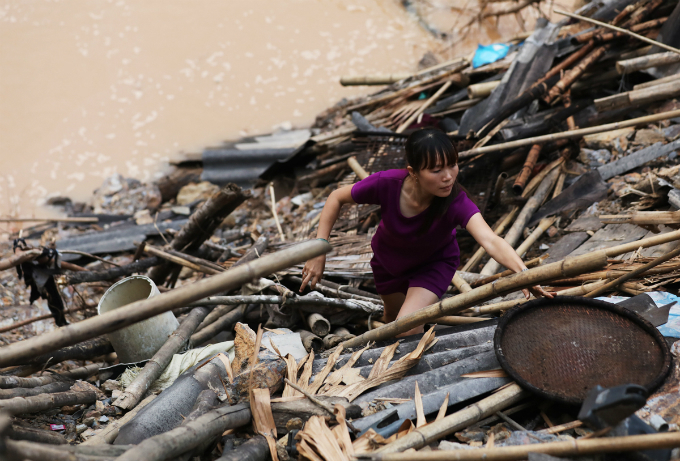 Luong Thi Thai looks for things that can still be used at her collapsed house. “The flooding caught us off guard. I had just enough time to take some clothes before taking my mother and daughter up the hill. 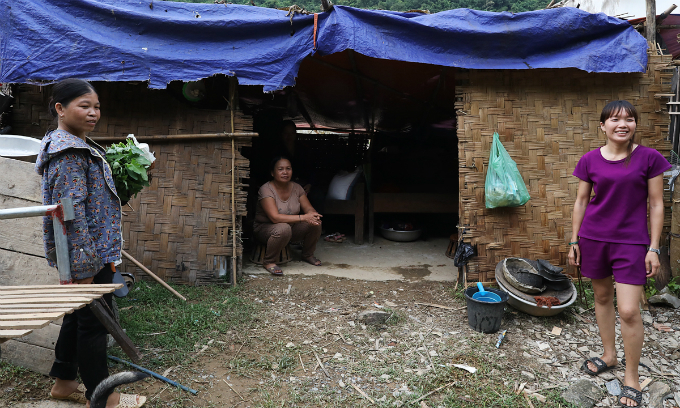 Our entire house was washed away,” she said. 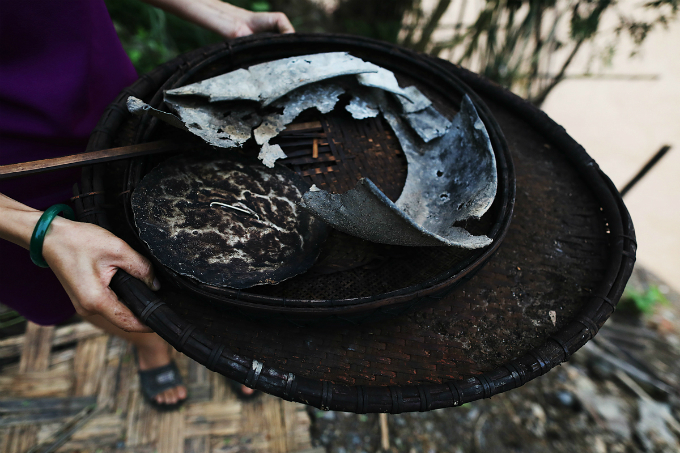 Two flat bamboo trays and a mangled aluminum lid are the only valuables Thai has found in an afternoon. 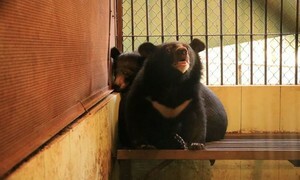 Thai (R) and several others in her hometown now take shelter in this temporary tent. “Since the day I lost my house, I do not dare to sleep sound at night. I’m afraid that the floods can return and I would not make enough time to escape,” she said. Men push a wardrobe to a shelter on the hill. 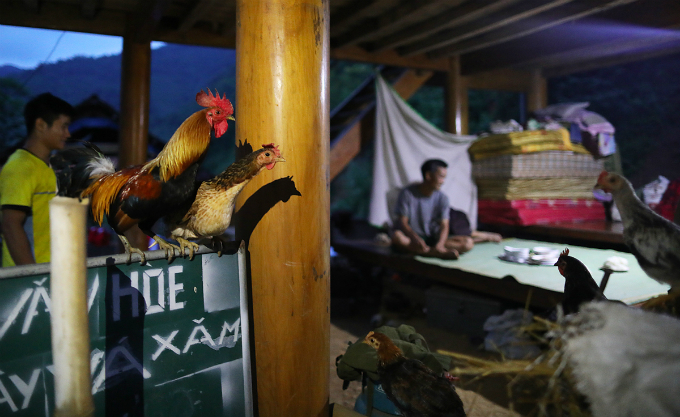 Poultry and cattle now live on the floor of the only concrete house in the commune. This house, also the only one that has electricity for now, is partly damaged by the floods and has been the shelter for 16 people in the past 10 days. Locals have dinner in the dim light generated from a battery. 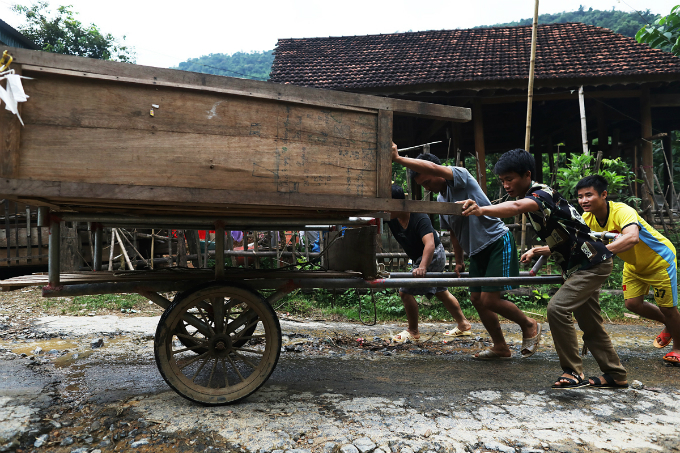 Luong Minh officials say they are finding it difficult to find places to resettle the residents because the commune’s terrain is mostly mountainous.